I've been gaming for about 25 years. 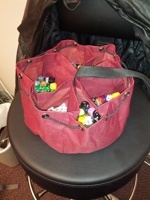 It follows that I have a lot of dice. 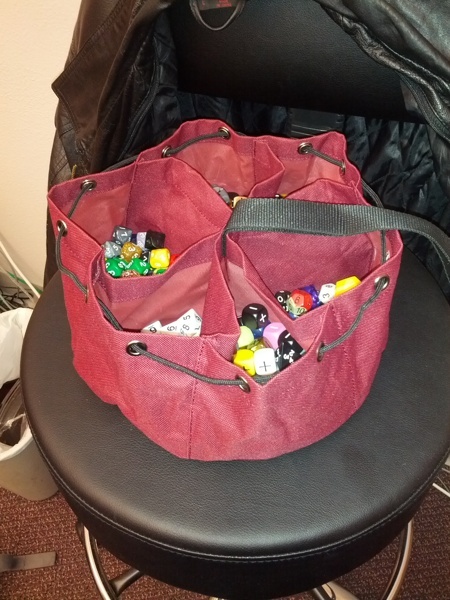 Recently, I got to the point where my only solution for carrying my dice was a big Tupperware container. Not very conducive for gaming at cons or at friends' houses. I asked on Twitter for solutions to this problem, and eventually settled on this: The Duluth Trading Company's Clincher. 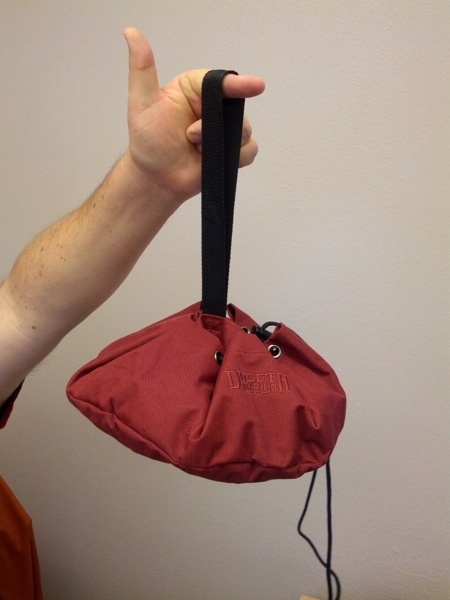 This isn't technically a dice bag. It's meant to hold nails, screws, washers, and other small parts for shop work. But it's a phenomenal dice bag, for several reasons. First, it's enormous. It holds nearly all of my dice. Hundreds of dice, which I've divided into its six compartments by type. When it's open, it sits flat, meaning that it doubles as an effective dice tray. Here's a picture of it sitting open, on my office chair, so you can get a sense of scale. Second, it packs flat too. It's meant for stacking in 5-gallon drums. Here's what it looks like closed. Third, it has a separate strap for hooking onto a belt or carabiner that isn't the drawstring. In short, this thing is amazing, and if you also have a ton of dice you want to have available at all times, you'd do well to get one.